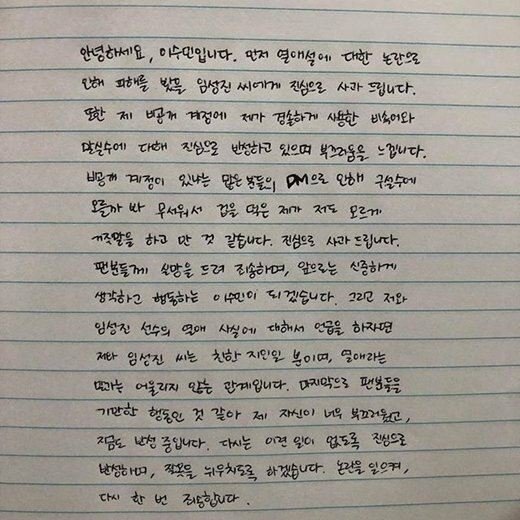 On top of the photos, posts from Lee Soo Min's private Instagram account were also leaked. 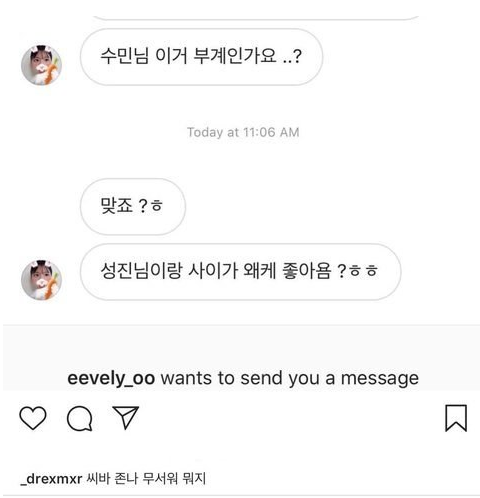 In the first post, Lee Soo Min shared a screenshot of a DM (direct message) from a netizen, asking, "Soo Min-nim, is this your private account? It is, right? Why are you so close with Sung Jin-nim?" Under the post, Lee Soo Min�captioned, "F*ck. So scary. What is this?" 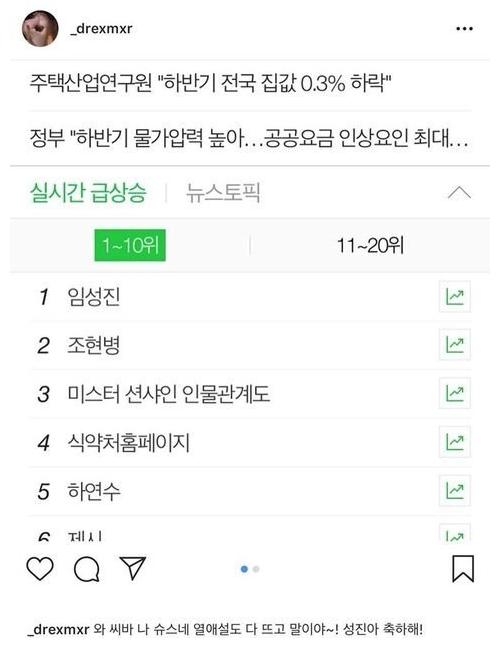 In another post, Lee Soo Min shared a screenshot of real-time search rankings where it showed 'Lim Sung Jin' on #1. She captioned, "Wow, f*ck. I'm a superstar. I even have a dating scandal~! Congrats Sung Jin!" 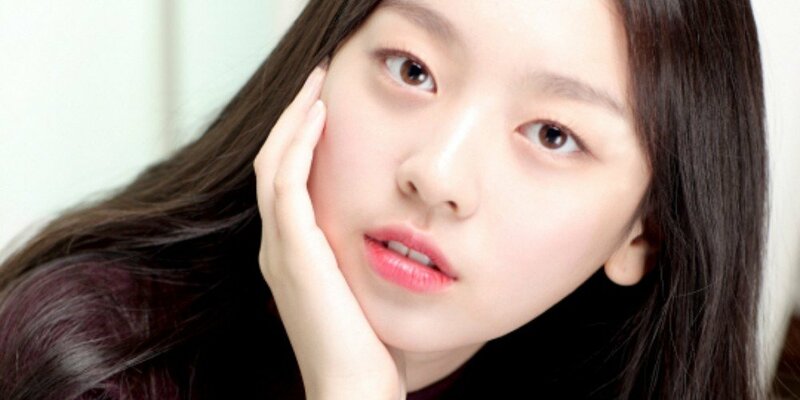 And as for the dating rumors involving Lim Sung Jin, he's just a close peer of mine and the word 'dating' does not fit with our relationship.�Lastly, I am so embarrassed about my actions that have deceived my fans. I'm still in reflection. I will make sure a similar incident doesn't occur again. Once again, I apologize."